The 2016 ICC World Twenty20 tournament offered a world-class spectacle, with nearly every nation claiming more than a sporting chance of triumph on the biggest stage in India - the beating heart of T20 Cricket. 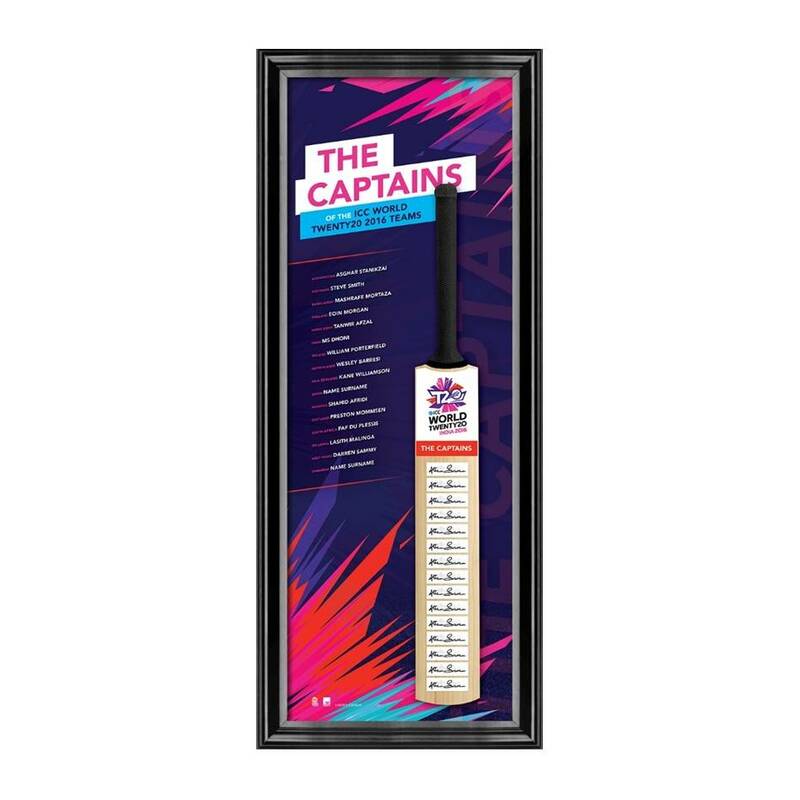 Official Memorabilia, in conjunction with the International Cricket Council, is pleased to officially release the 2016 ICC World Twenty20 Memorabilia range. Officially licensed, presented in optimal display formats, strictly limited, and available for a limited time only, there are personally signed products available in every competing nation, and every player selected for the tournament. The ultimate means of showing your national pride, secure your piece of cricket history today to avoid disappointment!